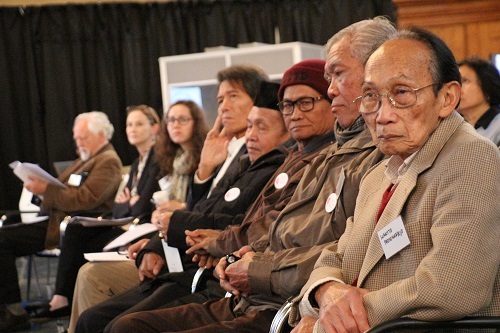 Justice for Iran (JFI), 17 November 2015: Victims, witnesses and experts participated in Indonesian International People’s Tribunal (IPT) in Hague, Netherland last Friday to investigate the 1965-66 mass killings in Indonesia. 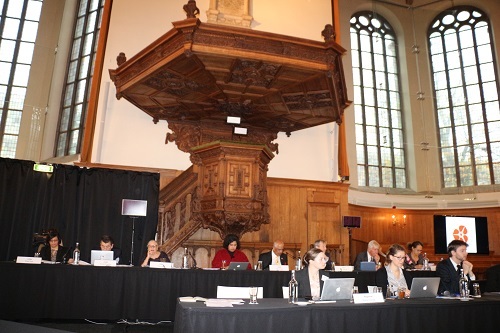 After four days of intense and often emotional testimony, an international seven Judge panel which included Justice for Iran’s Executive Director, Shadi Sadr, heard evidence about facts surrounding the atrocities and their repercussions in Indonesia during the aforementioned period. The “Judges Concluding Statement” established that the Indonesian government through its military and police arms committed and encouraged the commission of grotesque human rights violations on a systematic and widespread basis. The judges are also convinced that all this was done for political purposes: to annihilate members of Indonesian Communist Party (PKI) and those alleged to be its members or sympathizers and their family members. Other victims included but were not limited to teachers, intellectuals, women’s rights advocates, union workers, social activists, Chinese minorities and innocent bystanders. “To this day the Indonesian people are denied the right to truth, to justice, to rehabilitation,” said the coordinator of the International People’s Tribunal, Nursyahbani Katjasungkana. Witnesses who testified, included victims, researchers and journalists, who could be viewed on a live video stream but in Indonesia the government had blocked the tribunal’s website. The issue is still very much alive today in Indonesia, as some groups had gathered in public spaces in Yogyakarta, suspected members of the military in civilian clothes approached and intimidated people who were trying to watch the proceedings. “This tribunal is formed to compel the Indonesian government and other responsible agents in the international community to clean up their act. After 50 years justice for the victims of the crimes are long overdue.” Said Judge Sadr. Meanwhile the Indonesian government has dismissed the prosecutions as “irrelevant”. Indonesian Vice President Jusuf Kalla has said it is not appropriate for an activists’ tribunal to investigate the case. Indonesia foreign ministry spokesman Arrmanatha Nasir also dismissed the tribunal. But the atmosphere of the court was not one of denial. One of the witnesses had to be taken to hospital due to the emotional trauma she had experienced. The court heard from multiple victims and experts; some of whom fear intimidation particularly from Islamic groups. Some witnesses did not show their face in the court citing the fear entrenched in their memory and consciousness by the perpetrators who are able to maintain fear in their community even when they live abroad. The prosecution brought forward nine counts of crime and addressed grievances of murder, enslavement, sexual violence, persecution, disappearance, persecution through propaganda, torture and imprisonment. But as the prosecutor Todung Mulya Lubis, said at the first hearing last Monday “1965 tells of more than mass killings.” Notably, the compliancy of the CIA, the United States, United Kingdom and Australian governments which actively supported and aided the Indonesian government. Witness testimony revealed that British government was very worried about their economic interests and the American were troubled by the Sukarno’s oil nationalization plan which was very popular. Human rights advocate and Co-Founder of JFI, Shadi Amin, who was present at the proceedings pointed out the similarities in practices of torture, repression and interrogations under the Islamic Republic of Iran and the Indonesian government may suggest that we need to further examine this case. Perhaps, there is a need for an independent inquiry to discover further evidence. The violence and mass executions which ensued the Iranian 1979 revolution are reminiscent of the 1965 Indonesian experience. In both cases no state actor has ever been held accountable. 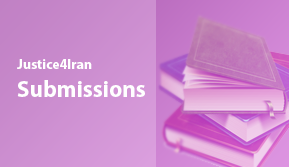 The only steps which have been taken to identify and prosecute human rights violators has been taken by Non-governmental human rights organizations. 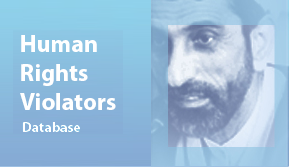 Most of the violators of the human rights have remained in their official governmental capacity. The tribunal has the power of prosecution but no power of enforcement. The essential character of the Tribunal was that of a Tribunal of Inquiry. A people’s tribunal derives its moral authority from the voices of victims, and of national and international civil societies. Survivors “demand to know the entire historical truth of what happened to their loved ones, who are only ghost-like visions as long as no detailed information about their fate is available” according to the prosecutors closing statement. The prosecution also welcomed the presence of two unexpected witnesses who appeared before the tribunal. Dianto Bachriadi of Indonesian National Commission on Human Rights and Mariana Aminuddin of Indonesia’s National Commission on Violence against Women. Although, after more than 50 years, the government of Indonesia is still reluctant to acknowledge the facts and the crimes that were committed, both witnesses substantiated claims made by the witnesses in the proceedings. Mariana Aminuddin, testified that her institution’s report on sexual violence against women during 1965–1966 corroborated testimonies by other witnesses regarding violence against women during that time. While so many of the victims remain afraid to even talk about the brutality which took place over half a century ago. Thirty one years of Suharto’s presidency which started by overseeing the massacre of some half a million to one million people accused of being members or supporters of the Communist Party which still leave fear in the heart of many Indonesians. There has been no mourning or grieving. There has never been a possibility of closure, because the perpetrators and their accomplices are still in power and were not brought to justice. The tribunal will issue a final verdicts within the coming months.